DNSWalk : Help Resolve Microsoft Windows DNS Issues And Resolution Failures [Solved] – AppAssure Replay 4.7 Log write failed for device \Device\HarddiskVolume (drive ?:). Your company has setup an local or Office 365 Microsoft Lync service and you are having a hard time connecting to it using your Mac. When you put in your information you receive the following error back – “”Sign in to Microsoft Lync failed because the service is not available or you may not be connected to the Internet“. 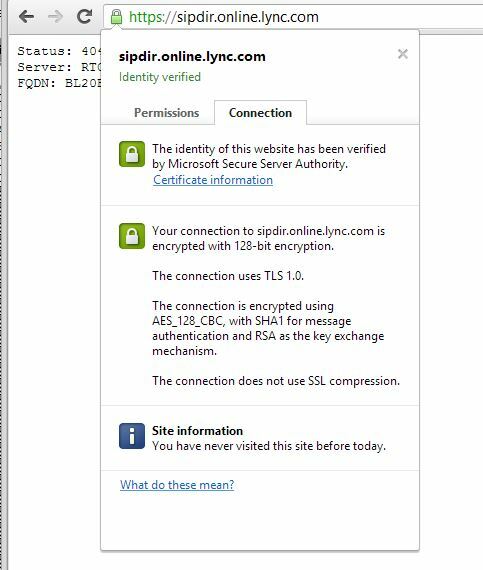 I had a similar problem recently and found through digging around that actually I was having a SSL failure where the Mac was rejecting the unknown CA authority that signed Microsofts “sipdir.online.lync.com” URL used to connect to Office 365’s Lync services. We had to import the SSL into our key ring manually and then assign the always trust to the certificate. By default the SSL imported into “Microsoft Intermediate Certificates” inside of the Key Ring Manager , you need to double click this certificate to pop the information box on the certificate, find the Trust drop down which should expose the selection boxes that will allows you to set the trust level on the certificate. Set it to Always Trust, now 2 finger click on SSL certificate and select copy certificate. Next select the System folder inside of the Key Ring Manager then 2 finger click in the right panel of the System Folder view and select paste “certificate name” so that the certificate is now in both places. Launch Lync, place Active Directory email address in the email box and in the user ID box and your domain password to log in. 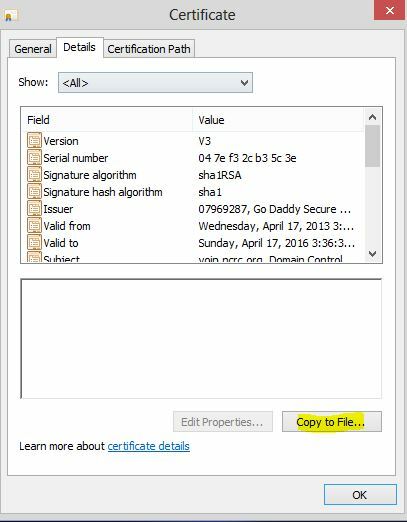 How to import the SSL cert from Microsoft. You can download here or from a Windows box, Goto https://sipdir.online.lync.com/ in Chrome and the following should appear. Now click the green pad lock to bring up the Permissions and Connections property box. and select the Connection tab. Then select the Certificate Information link. This properties box should appear, select the details tab and then the copy to file button to launch the export wizard and export the SSL (using the defaults only) to a file. Now copy that file over to your Mac or zip it up and email it to an account accessible via the Mac system and follow the import process above on all Mac systems that have issues connecting.